Notecards of Frank art pieces. Frank has 12 Sold Out pieces. 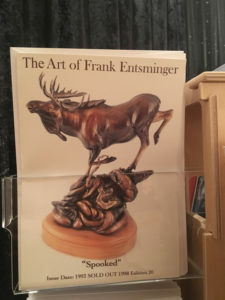 Frank has cards for purchase not only his available art but also his Sold Out pieces. These notecards are a great way to appreciate & enjoy the many years of Frank Entsminger’s talent & also share with friends and family. They are 5×7 notecards. Frank also has autographed 11×14 prints available. Prices include shipping.